Within the last decade, the fitness industry has seen a HUGE change. Fitness is not just about treadmills and weights anymore. It's about being healthy! The change in spotlight has caused niche fitness centers to pop up everywhere. So people are exploring different avenues of fitness and finding fun, new ways to stay in shape. From traditional fitness centers to yoga studios and rock climbing gyms, there are more options in the fitness industry than ever before. In 2017, there were 38,477 gyms in the United States, and that number is continually increasing. Even more impressive than the number of fitness centers is the amount of people with health club memberships. Over 57 million! But with so many options, how are consumers going to decide which brand to trust with their health and fitness? Committing to getting fit is a big deal. And consumers need a reason to have faith in you before signing up. Sounds like a major challenge. But it doesn't have to be! By creating fitness marketing tools that suit your brand, consumers will be able to see what makes you special. That means having professionally made, cohesive branding tools that will grab the attention of potential clients and bring your brand to life. Let's take a look at some of the ways you can gain the attention of prospective clients and take your brand to a whole new level. Let's start at the beginning! When you meet a potential customer, you only have 7 seconds to make a good first impression. So during your conversation with the potential customer, you should showcase some business signage and give them a leave behind. 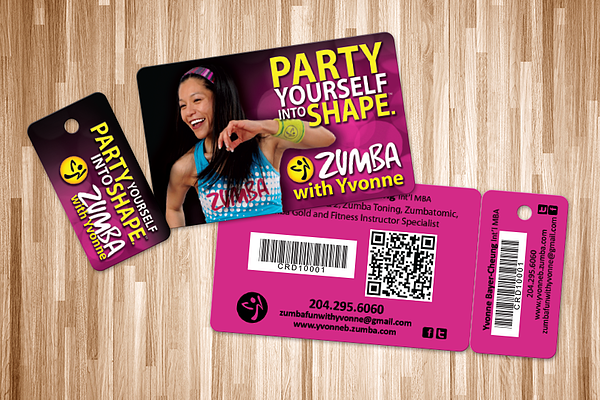 What happens to your fitness business cards after you walk away? Does it end up in a stack of other personal trainer business cards? Or even worse, it gets thrown it away. Regardless, you want to give them fitness business cards that they want to hold on to and will make them remember your conversation. 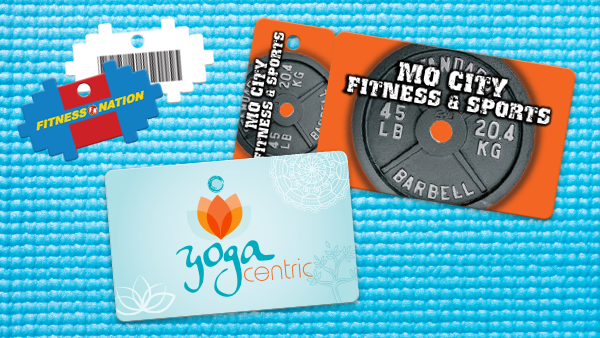 Whether you are a water aerobics facility, yoga instructor or a cycling personal trainer, business cards are a necessity. They help you to make a personal connection with a potential customer and convey the quality and expertise of your company. But how do you draw the attention of your potential clients? By using custom shaped business cards! Not only do custom shaped business cards impress and inform, they can provide further insight into your business. Any customer that looks at card shaped like a boxing glove will immediately know what type of fitness you provide. As the saying goes, a picture is worth a thousand words. Custom shaped business cards may not be a picture, but it still gets the idea of your brand across much faster than words. And its much more visually stimulating! 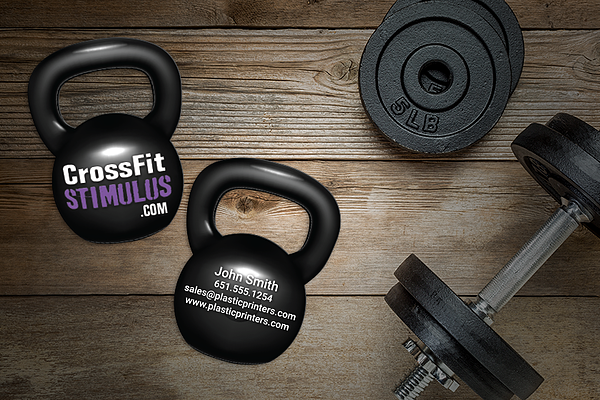 Use your fitness business cards to capture the likeness of your brand and impress everyone who sees them. 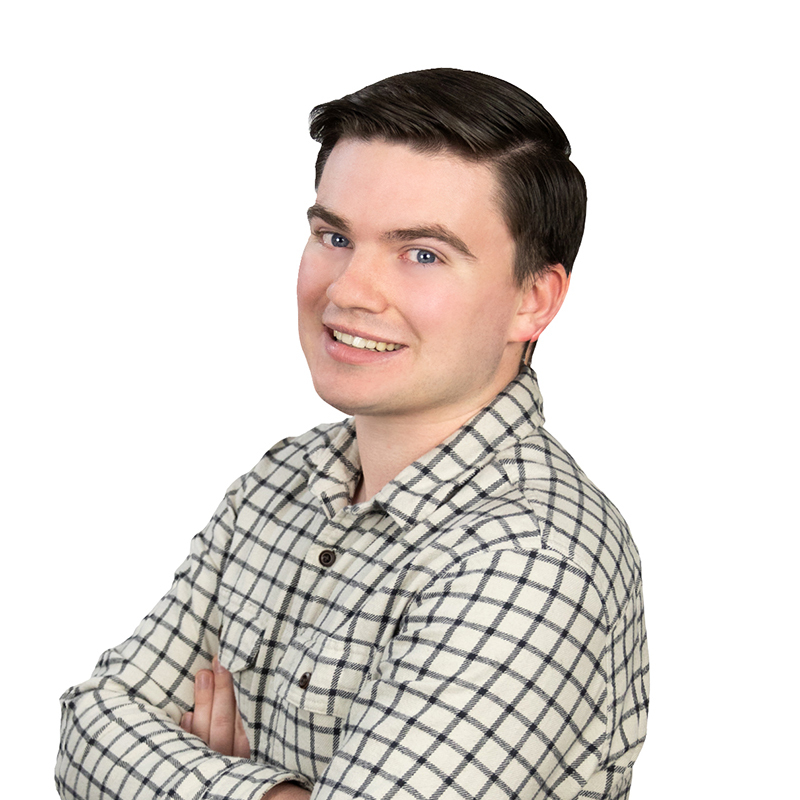 Letting potential members know that you're a cut above the competition while still being able to provide them with all of the information that will lead them back to your business. Like I said before, health is an important topic. Consumers want to ensure their health and fitness is being taken care of. If you are a personal trainer or instructor, it is important to make your customers feel like you are helping them make progress towards their goals. Create an interactive and stimulating gym membership program with contests, events, digital workouts, personal training, etc. There is an endless amount of possibilities just stay true to your niche! Your gym membership program should be focused on cultivating a long-term relationship with your customers. Pushing to make their experience the best it possibly can be. 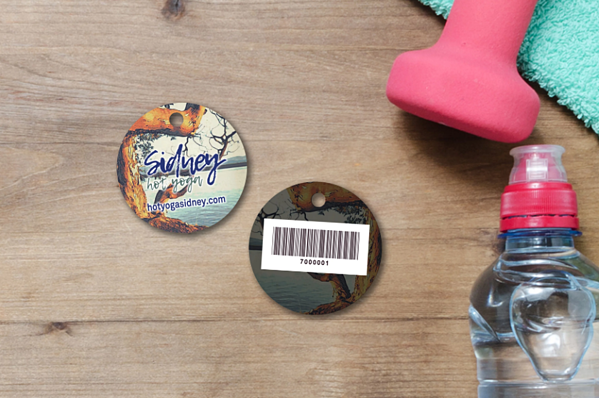 One simple way to establish a great experience for your members is using key tags for your check-in process. 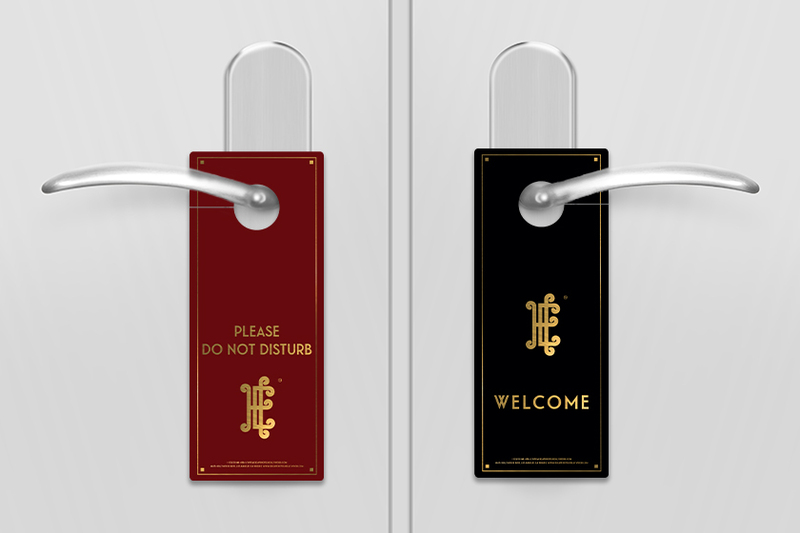 Key tags help eliminate lines, saving your members time and keeping them happy. No one wants to wait 15 minutes at the gym to get checked in. With key tags, its one easy scan and they are all set! It saves you and your customers valuable time. Giving you the opportunity to focus on your relationship with the customer. You can't just think of your key tags as a check-in tool. They are mini, mobile promotional tool for your company. Think about how many times people pull out their keys each day. It's a lot, right? Use designs that make you standout! Coming up with a bold, but professional look for your key tags will inspire confidence in your brand. Encouraging prospects to ask about your company, enroll in your gym membership program and get fit with you! Don't overlook what could be the key fitness marketing tool to growing your business: guest passes. The reason a guest pass is so great is that they are essentially a referral from a friend or family member who already enjoys your fitness center. Think of it this way: if your friend invites you to try a new restaurant for free, you're going to go and check it out. Because you can't beat a free product or service! And hey, if you like the experience you'll probably come back. That's why using a guest pass is so effective - consumers get to checkout your services without spending a dime. Some will love what you have to offer and sign up to keep coming back. It is simple, effective, and costs you nothing. 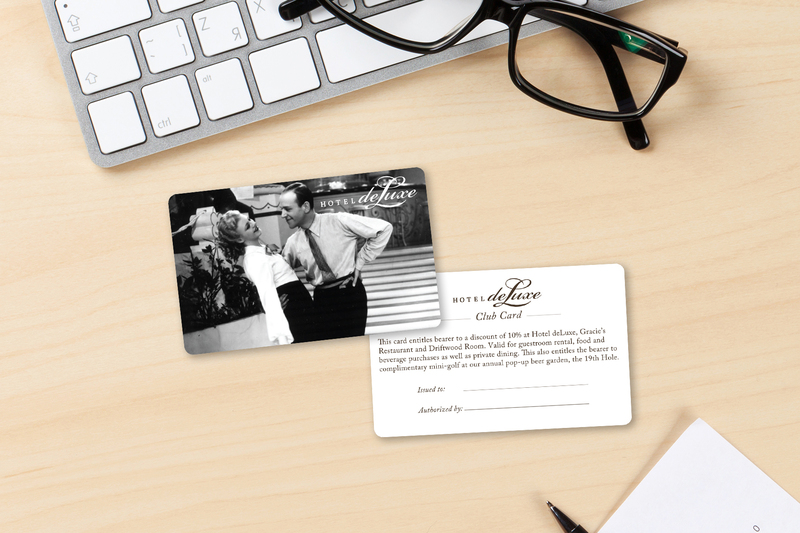 The key to having an effective guest pass is providing them to your clients in a convenient way. After all, you should make it as easy for your members to refer your business as possible. Combo cards are a great way to accomplish this! 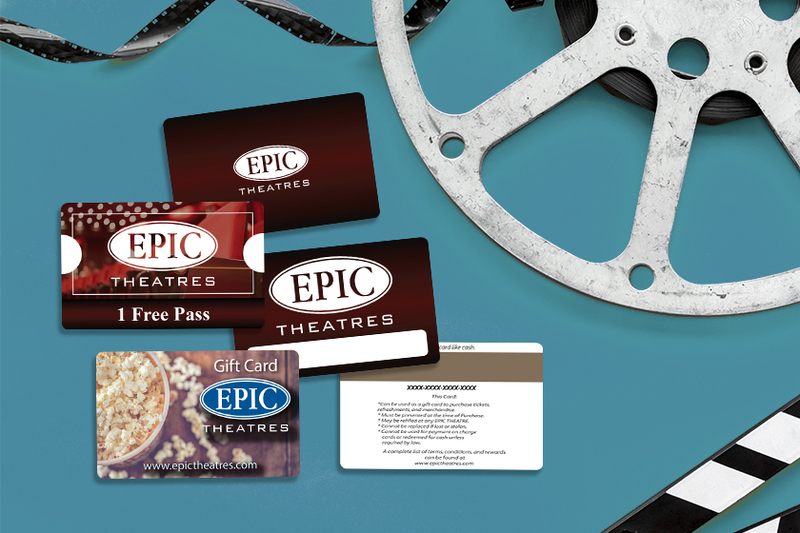 With combo cards, you can attach a guest pass to membership cards and they easily snap-off. Making referring your fitness centers an effortless task. There is an incredible amount of competition in the health and fitness space. But the fitness industry is still growing and there is plenty of opportunity for you to reach people and change lives. You just need to standout! And we're here to help. 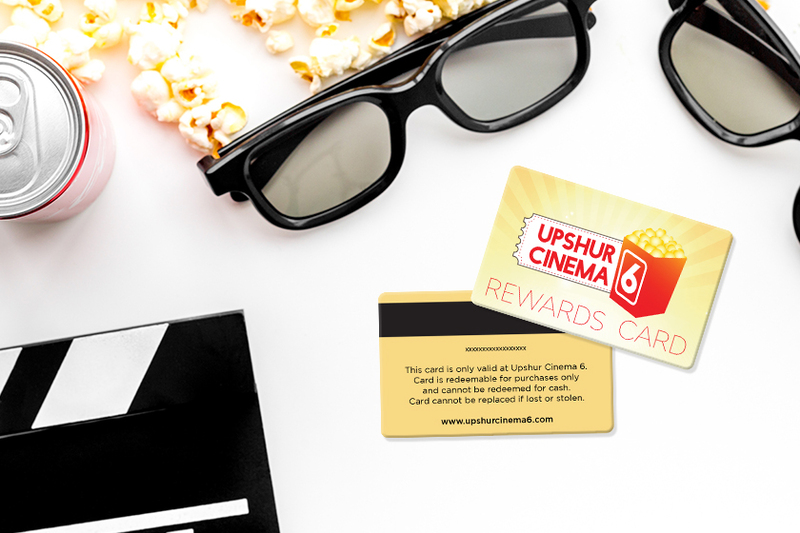 From custom membership cards to personal trainer business cards, our experts are here to help ensure you get amazing fitness marketing tools so that you can represent yourself as unique as your niche.